Dr Paulo Pinho believes the cost for Dental Implants is over-inflated in the industry, with some dentists charging up to $6,000 for a single implant. That isn’t value for money. The price difference between dental implant systems is rarely more than $100, so if you’re paying thousands more for an implant then you’re simply paying a bigger margin. Titanium Australian Certified and Approved. Porcelain Metal and Zirconia all made in recognized Australian Labs. Life Time lasting proudly made by Australian Professionals. Discounts may apply for cases requiring more than 2 implants. Every new patient must first have an initial consultation where X-Rays are taken for proper examination, your medical history is reviewed, and Dr Pinho explains the procedure to you. You’re then provided with a fixed-price quote with Medicare item numbers. Most procedures are performed under local anaesthesia in our clinics. If it’s decided that your case needs to be performed under IV sedation or general anaesthetic, additional hospital and/or anaesthetist fees may apply. Hospital costs will vary between which hospital is chosen for your surgery, and if you’ve had private hospital cover for over 12 months it will likely cost you nothing out of pocket. IV Sedation is available with an 85% Medicare rebate. We have some very good deals in place with Anaesthetists, and in some cases may only cost you $100 out of pocket to have all 4 wisdom teeth removed. Dr Pinho’s main mission is to make oral surgery affordable and accessible for everyone, nobody should be left in pain with inadequate dental care. Payment plans and financing options are available to you and can be discussed in your initial consultation. Financial hardship is not a reason to ignore your dental health, and Dr Pinho strives to be as accommodating as possible. 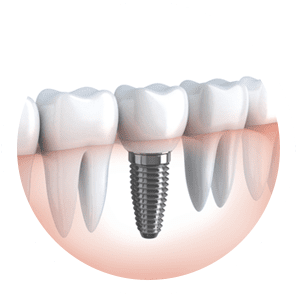 The cost of dental implants in Sydney is typically more expensive when compared to the traditional alternatives such as dental bridges and dentures. Book your initial consultation with Dr Paulo Pinho! Once you get an initial consultation with the dentist, they will be able to provide you with a specific estimate on the cost of dental implants. However, if additional procedures like bone grafting, extractions and extensive imaging or modelling are required, the dentist will charge you extra. Dr Paulo Pinho found that the cost dental implant in Sydney is over-inflated in the industry and he strives to offer affordable dental implants in Sydney to their patients. The cost of dental implants in Sydney is approx. $2850 for full dental implant. Make sure that this cost isn’t inclusive of the initial consultation fee. During the consultation, our dentist Dr Paulo Pinho will assess the health of your jaws and teeth which is equally important before receiving treatment. Some people travel abroad to take advantage of their cheaper prices for tooth implants. Few of the destinations people often choose to get dental implant include Europe, Thailand, and Mexico. It makes little sense when Australian’s seek “Dental Tourism” because it appears to be “Cheaper”. Did you know, Australia is considered as one of the highest standards in the cosmetic dentistry and dental implant treatment? The only concern is: The cost of dental implants is over-inflated in the industry, with so many dentists charging up to $6, 000 for a single implant. 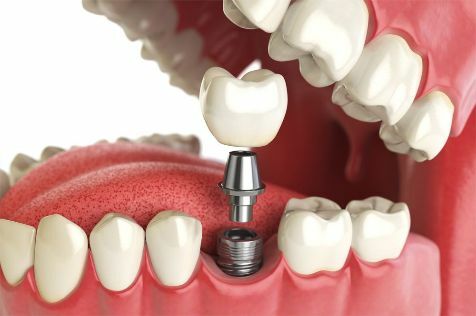 The cost of dental implant in Sydney is really a worthy investment and the success ratio of this treatment is 99.9%. However, the success ratio is entirely depends on a number factors including the strength of the jaw bone and where in the jaw the implant is placed, post-care tips etc. The success and longevity of the dental implants are heavily depends on the skills of the surgeon. Dr Paulo Pinho has over years of experience in working as a dental surgeon in both Melbourne and Sydney. When it comes to dental implant cost Sydney and financing, there are several options to choose from depending upon the complexity of your problem. Dr Paulo Pinho is now offering dental implant financing in Sydney to make the dental implant procedure more affordable and accessible to the patients. If you are in the process of scheduling treatment with an oral surgeon, ask the oral surgeon’s office if the treatment might possibly be covered by Medicare. During the initial consultation, Dr Paulo Pinho explains the procedure to you and then you’re then provided with a fixed-price quote with Medicare item numbers. Want to Make a Dental Implant Inquiry? Are you looking for an affordable dental implants Sydney? Call us today 1300 721 184! We offer dental implants for $1500 (Titanium Australian Certified and Approved) which means you can have a new tooth for $2850. There are no hidden costs! Book your FREE Assessment Consultation Now! Why Are the Costs of Dental Implants in Sydney So Expensive? Dr Paulo Pinho believes the cost for Dental Implants is over-inflated in the industry, with some dentists charging up to $6,000 for a single implant. That isn’t value for money. Dr Pinho’s main mission is to make the costs of cheap dental implants in Sydney more affordable and accessible for everyone, nobody should be left in pain with inadequate dental care. The dental implants cost in Sydney entirely depends on the condition of your teeth. Every new patient must first have an initial consultation where X-Rays are taken for proper examination, your medical history is reviewed, and Dr Pinho explains the procedure to you. You’re then provided with a fixed-price quote with Medicare item numbers. What Are the Special Features of Financing and Payment Plans Offed by Dr Paulo Pinho? Dr Pinho’s main mission is to make oral surgery affordable and accessible for everyone, nobody should be left in pain with inadequate dental care. Payment plans and financing options are available to you and can be discussed in your initial consultation. Financial hardship is not a reason to ignore your dental health, and Dr Pinho strives to be as accommodating as possible. Will Dental Insurance Cover My Procedure? Your insurance provider may cover a portion of your procedure such as the X-rays, conscious sedation, extractions or crowns but the majority of the procedure is usually considered elective. What Are My Dental Implant Financing Options? At Dr Paulo Pinho, we accept all major credit cards and work with healthcare financing companies. Please let our Financing Specialist know your financing concerns, so that we can work out a payment plan that meets your personal budget.